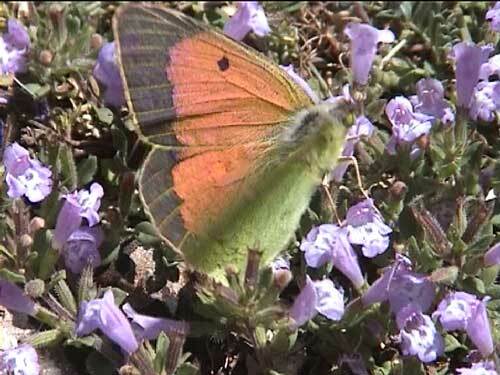 In Europe, confined to the higher mountains of mainland Greece. 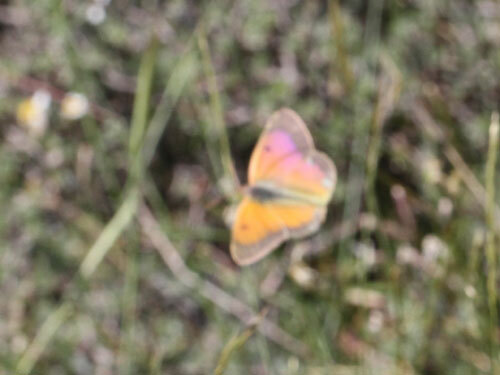 It can be common where found. 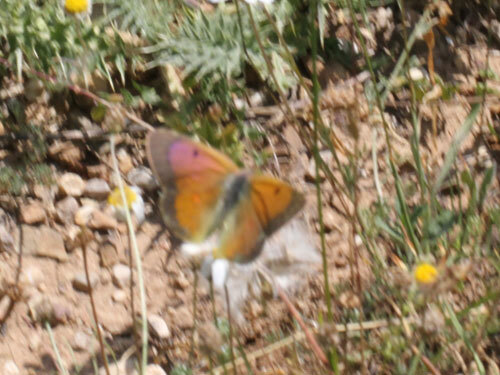 The males are spectacular with lovely violet refraction patterns on the rich red orange uppersides. 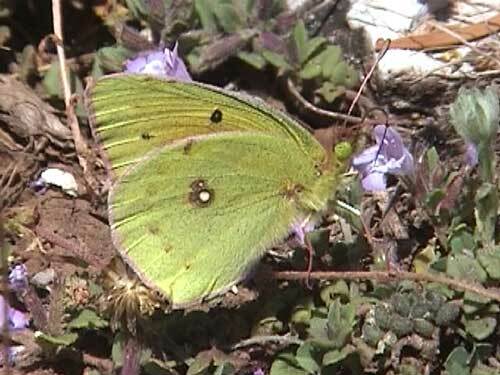 Distribution & Flight: Only from Greece. 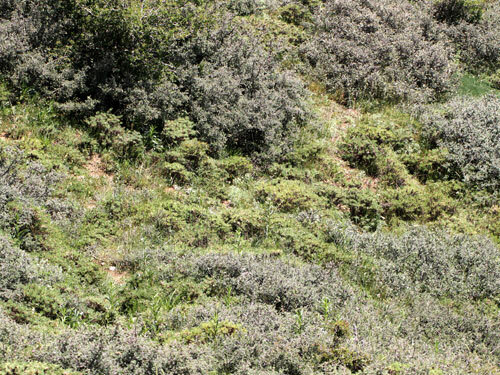 Higher mountains from the Pelopennesos to the Pindos. 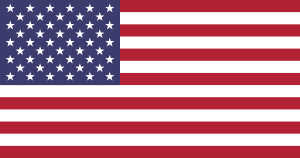 June/ July. 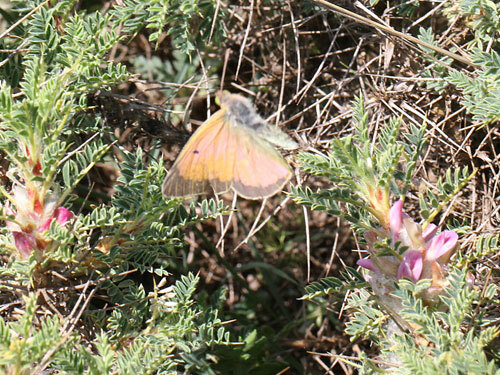 Common in the Pelopennsos in June and at the very end of its flight in week 3 July further north in the Pindos mountains. 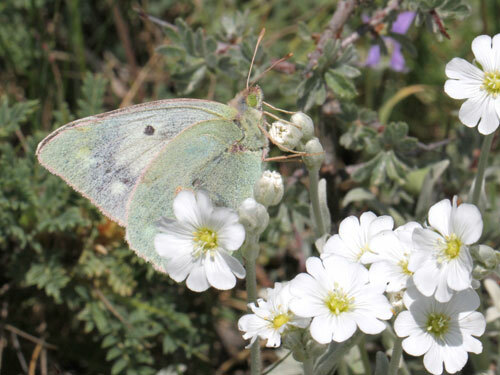 Habitat & Behaviour: Grassy flowery meadows on steep slopes or on tops of mountains. 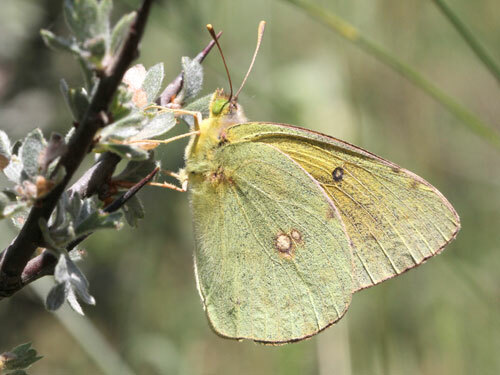 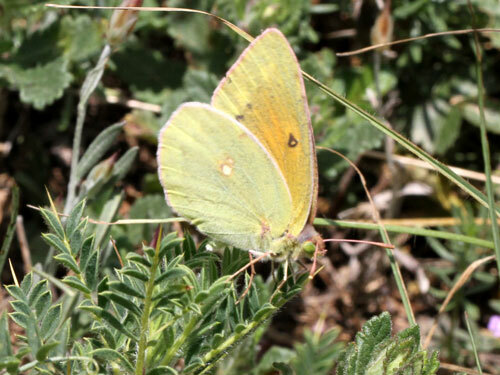 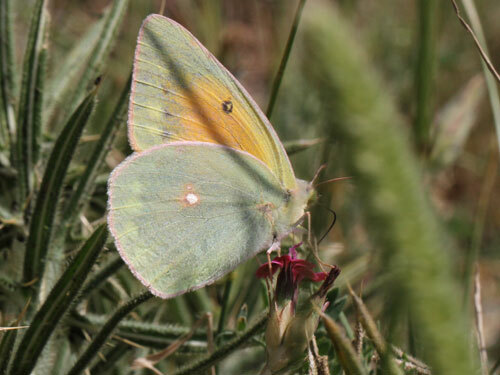 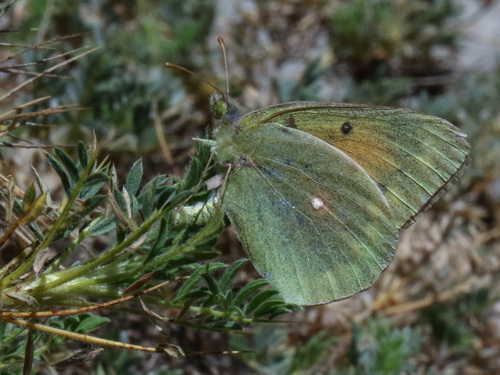 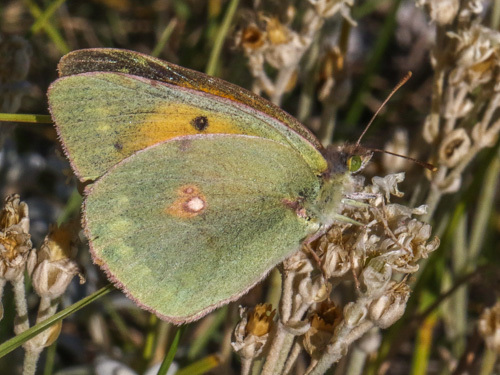 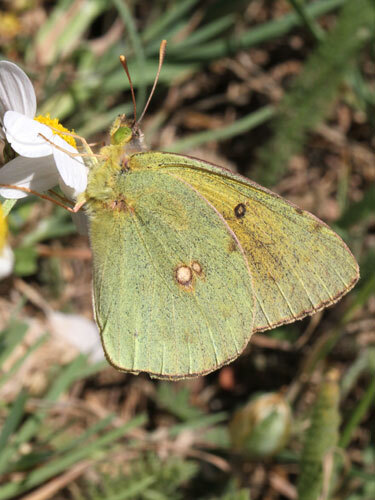 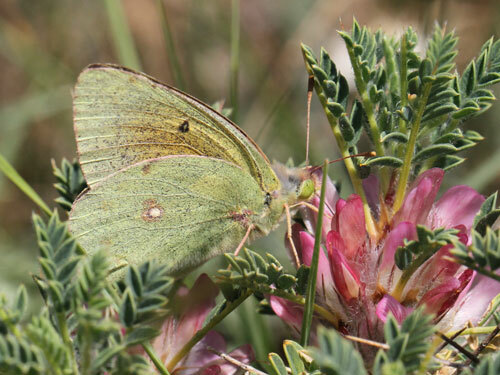 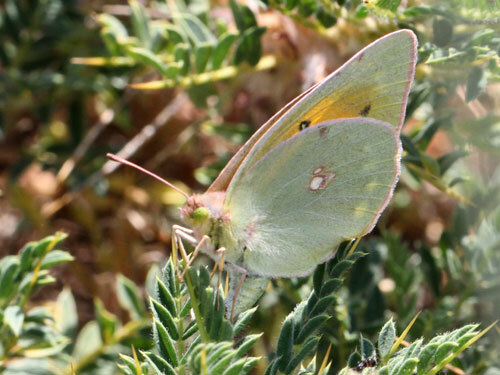 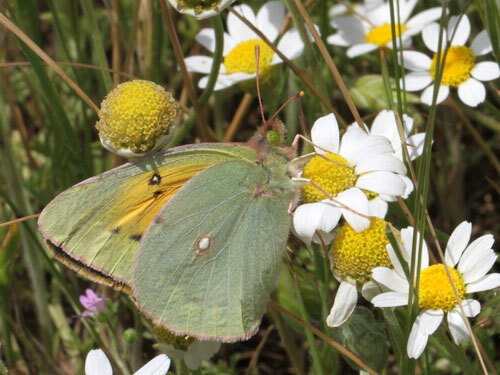 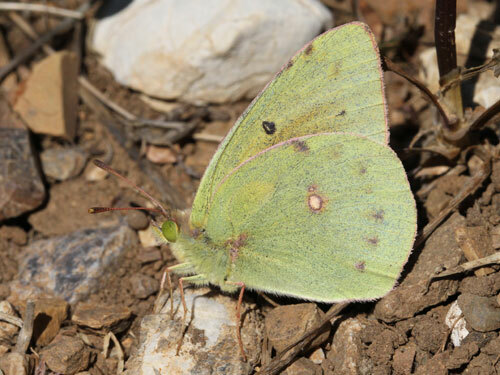 Unlike the more familiar wide ranging strong flying species of Colias, these were weaker fliers and show little tendency to wander far from the colony. 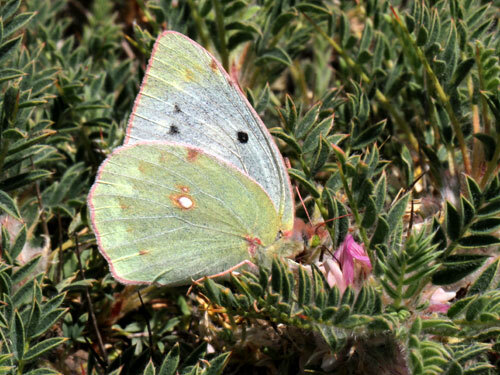 They feed avidly on low growing flowers where they "hop" from clump to clump by beating their wings but not actually flying. 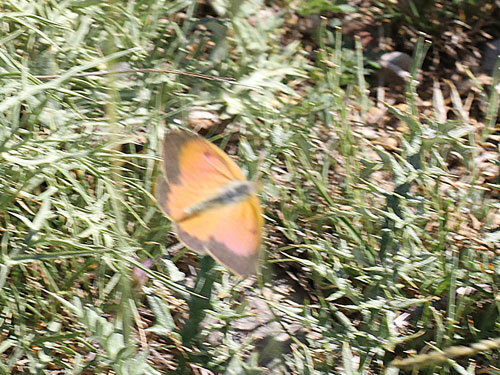 This way I managed the upperside photographs which would otherwise have been impossible. 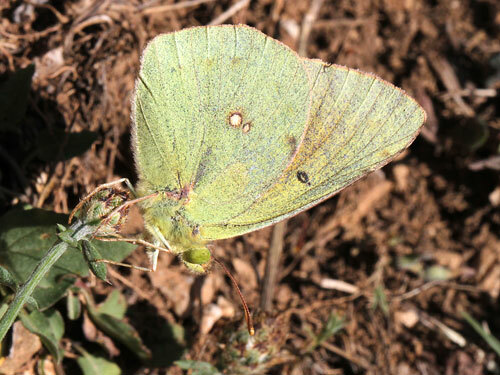 When feeding they would flick their wings open occasionally. 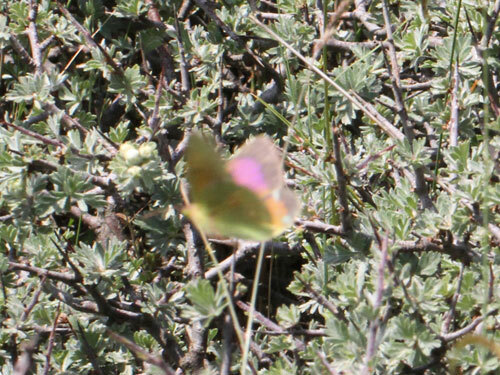 The video camera caught these moments, sometimes. 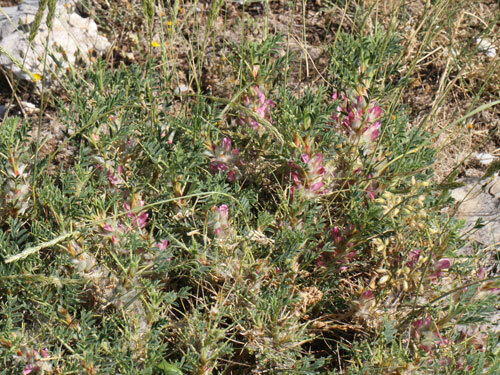 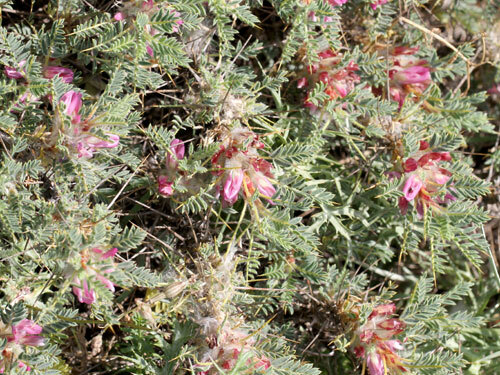 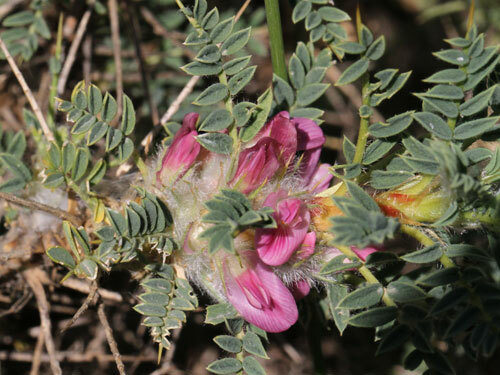 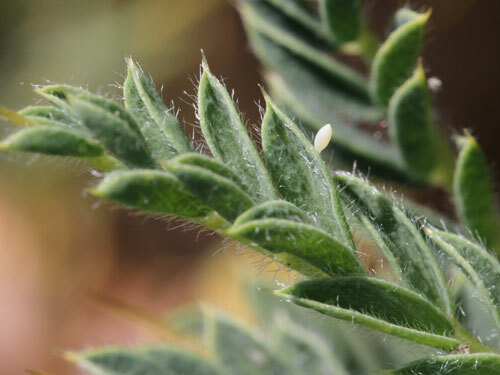 Larval food plant Astragalus rumelicus.